Who can launch a process? Processes can be launched by all users that have permission to launch it. That is, all the users that have been defined as &apos;Process initiators&apos;. 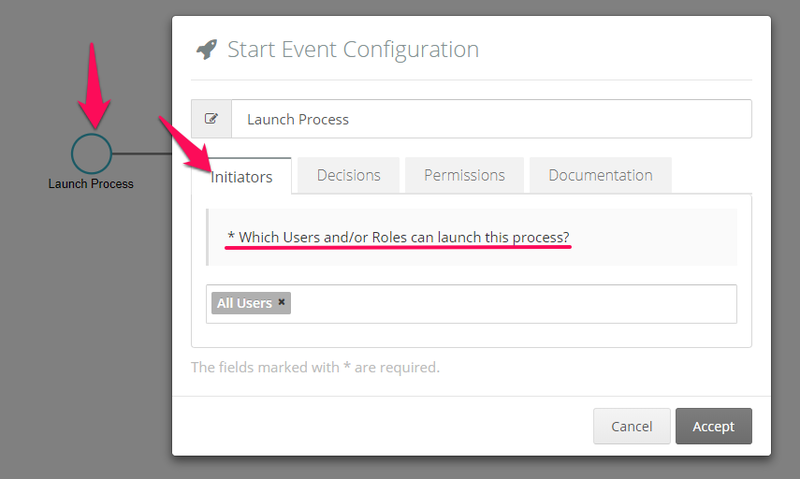 Once you create a process, by default "All users" are defined as initiators. Therefore, all users will be able to select it and launch it from the Launch process drop down list. Once you define process initiators, only those users with access to launch a particular process will see it on their Launch process drop down list.